The Murdoch press was reporting on Friday that Australian warships had been dispatched to ‘intercept’ the Russian flotilla ‘steaming towards the G20 summit in Brisbane’, suggesting there could be open hostilities between the two countries. The Daily Telegraph ran with the headline ’Vlad’s naval subterfuge’, as if it was part of a Russian plot to undermine what the Telegraph termed ‘our’ G20. Such theatrics are as much about Australian media reporting of the ships as they are about the passage of the ships themselves. Could it even be that the press was conspiring with the Abbott Government to undermine the G20 in the wake of the climate change action momentum that was established during the week at APEC? Whatever it was about, it’s clear that more serious heads needed to prevail for the G20 to maintain its relevance and Australia its credentials to host important events that do not concern sport. The Australian Government was indeed blindsided by the groundbreaking and ambitious emissions target agreement between the US and China at APEC. The US said it would cut emissions by 26-28 per cent below 2005 levels by 2025. China pledged to peak emissions around 2030, though it will be aiming to achieve this sooner. Long-term targets present a particular problem for the Abbott Government because deeper emissions cuts would be very expensive under its Direct Action policy. Obviously the Government feared what opposition leader Bill Shorten was pointing to when he made the optimistic suggestion that the Brisbane G20 ‘could become famous for the fusing of the economic, environmental and security imperatives for climate action’. Shorten imagined that, in the lead-up to next year’s Paris conference, we could be talking about what the ‘Brisbane Declaration’ had to say on climate change. 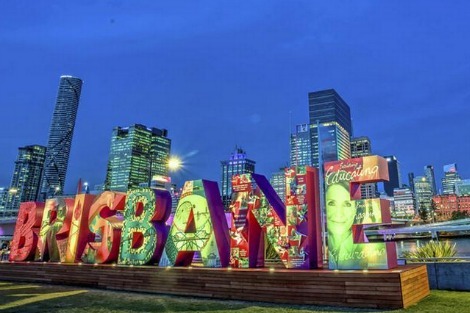 Whatever the legacy of the Brisbane G20, the mostly behind the scenes conversation among leaders, and the sharing of conviction that can eventually lead to formal resolutions and action, was all important. That is what would have preceded the resolution on carbon emissions targets at APEC, and it is what many groups mindful of the condition of life for future generations, were quietly hoping for. One of these groups was the religious leaders from Australia who signed an open letter to leaders of the Brisbane G20. They regard the earth as sacred, and insist that it is our human responsibility to protect it. They say that this requires leaders to commit to a rapid transition away from fossil fuels and towards renewable energy, and they point out that ‘It is entirely possible to create thriving economies that are also sustainable’. This points to what is perhaps the new phase of climate denial – attempting to assert that investment in renewable energy is not also good for the economy, and indeed better for the economy than keeping with fossil fuels. China seems to have accepted this, while Australia has gone backwards. If the G20 was to be properly successful, it was likely that Abbott would lose face. But it is important that advocates for climate change action did not see such an outcome in itself as a triumph. Instead of gloating, they must themselves maintain a humble posture and attempt to shepherd the Government towards the reality and opportunity that China and the US embraced at APEC. The west want War with Russia, as simple as that. But western leaders with an IQ of 50 have all been outwitted by Putin at every step. Why aren't we talking about Ukraine anymore(coup) ? , why are we not giving the proof about how western leaders barked it was Putin(mh17)?. Because Putin, yet again outsmarted them. Every week is a new demonization campaign against him. If there is one thing I have learnt over the last ten years is if Western leaders praise you - "That means you are a criminal who sold your soul and nation for money". However, if the western leaders demonize you, it means you are doing something honest in the best interest of your people and country. We see through the lies now, stop harassing us with war propaganda every week, I am sick and tired of it. If you want war, here Abott, here is your rifle and parachute - i'll be right behind you, what ?? ahh didn't think so :). Russia's posturing with its flotilla 'steaming towards the G20 summit in Brisbane' reminds me a little of a game I used to play with my son. I think it was called "Battleships" and it was fun (for a while!). Until he grew up. Abbott can duck and weave but climate change will stay on the agenda. The open letter from religious leaders is a great idea. "Russia's posturing with its flotilla 'steaming towards the G20 summit in Brisbane' reminds me a little of" Soviet border tactics before invasion of Hungary Czechoslovakia. Not forgetting 'long wait at Polish border till nazis withdrew';Berlin border stand off 1961; and recently Äugust 2014 " the build-up of further Russian combat units at the Ukrainian frontier." Michael's astute observation about the Daily Telegraph's ownership of 'our G20' is a reminder that Team Murdoch is hell bent on making sure that issues of substance which are discussed at the summit do not get reported to the Australian people, unless Fairfax, the Guardian or the ABC let the side down by attempting to inform us about what is actually happening in Brisbane. Regrettably, any take-up by the G20 leaders of the wise counsel contained in the open letter from Pope Francis about the centrality of people rather than profits, will not get a hearing in the Murdoch press. The name of the childish game is to amplify diversion around stunts and make-believe bad guys so that we have more enemies to hate and fear. Unfortunately, that game will probably enjoy a large measure of success. the "Vlad side show"? many nations are concerned about the growing muscular presence of Russia. The MH17 event alone would have been enough to start a world war, a hundred years ago. Climate change is not the only issue facing world leaders. The two issues of Ukraine civil war and MH17 accountability are not so black and white as suggested by some correspondents here. In past essays in ES I have offered counterviews. Putin continues to respond patiently and reasonably under sustained attacks from Western leaders and media, and as the Kiev govt continues to take unwise and provocative decisions - and goes on indefensibly shelling and killling its own citizens in East Ukraine, in vain efforts to retake military control of a region that clearly wants a degree of self-determination and control over its own resources. . Very true, Cath, climate change is not the only issue facing world leaders. Most leaders are national leaders first, except perhaps those who aspire to control the world according to their ideology (be it well-intentioned democratisation or expanding the reach of the US military industrial complex or resurgent Russian imperialism or a Muslim Caliphate etc.) Putting aside the Daily Telegraph's brouhaha, most media got the message that even world leaders cannot discuss the economy - summarised by Tony Abbott as increased productivity and jobs - without discussing energy sources, their use and the effects on the earth's climate, the opportunity it gives for new jobs. Re your opening comment on the Murdoch press, I love this from a current book "A Short History of Stupid" by Bernard Keane and Helen Razer: "News Corporation's newspaper coverage in Australia ... is dominated by a prostatariat of old white male journalists writing for old white male readers." Never mind the meaning, admire how one word can dominate a sentence. I suggest, Michael, that people read Terry McCrann's article in The weekend Australian, Nov 15-16, 'Earth to Journalists: this climate deal is irrelevant'!